The Serpentine Galleries sit serenely inside the beautiful Royal Park of Kensington Gardens in central London. Comprising of two galleries, The Serpentine and The Sackler Gallery are both cultural landmark destinations in London. 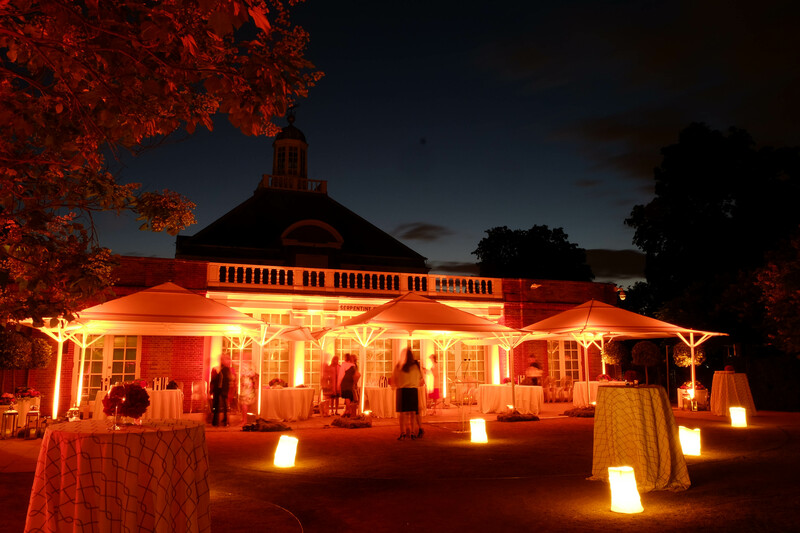 Both buildings are grade I listed and are available for both morning and evening events. Known for being home to some of London’s most contemporary and ground breaking art works, guests can enjoy private views of these unique collections in conjunction with their reception or dinner. This international site for architectural experimentation was first placed on the London map in 2000 in the grounds of The Serpentine. It has provided international architects with the opportunity to build inspirational, innovative, temporary structures visited by millions and has become one of the top ten most visited architectural and design exhibitions in the world and is eagerly awaited each summer. In 2015 the Spanish designers Selgas Cano created a psychedelic party celebration space for the 15th anniversary of The Serpentine Pavilion. Opening between June and September 2016, this year’s Serpentine Pavilion, ‘an unzipped wall’, is a three dimensional space designed by The Bjarka Ingels group. Inside the structure, 200 guests can enjoy drinks and canapés, expanding to 300 if the surrounding areas are included. 4 modular summer houses designed by Yona Friedman are included in this years’ exhibit. These can be assembled and disassembled in various formations. For each of our featured venues, we create an individual cocktail to be served at AC parties at the venue. These glasses of delight add secret bursts of flavour and excitement to Serpentine events that will not be available elsewhere. The cocktail for The Serpentine Galleries is reflective of the innovation and creativity of the Pavilion combining nature with innovation. This cocktail brings the freshness of the British summer with a sparkling blend of home made basil nectar, spiked with celery bitters to enhance the botanicals of Plymouth Gin for truly smooth sophistication.